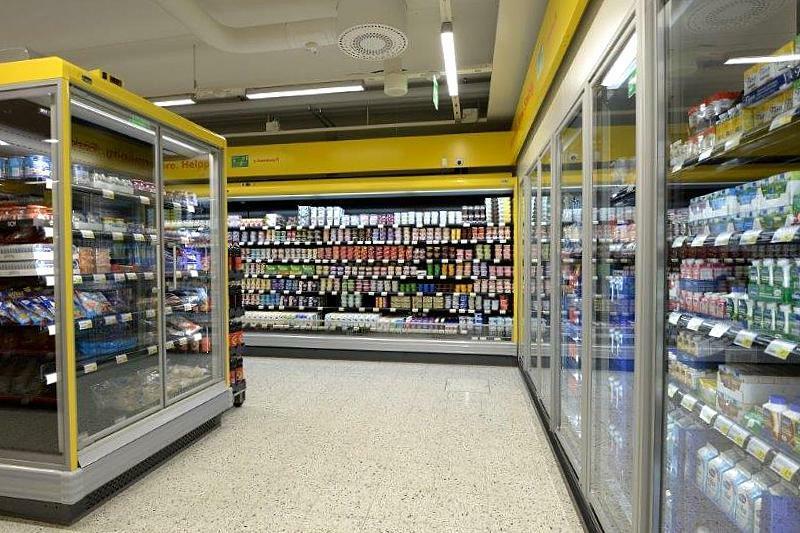 In December 2015 in Bennas (Finland),Finnish company S GROUP opened its ‘Sale’ grocery store, where environmentally friendly commercial refrigeration equipment from Freor is installed. ‘S Group’ is the largest retail company in Finland, a member of Nordic grocery retail group COOP, which covers more than 4000 retail stores in Denmark, Sweden, Norway and Finland. Through this network, products reach over 13 million of consumers. 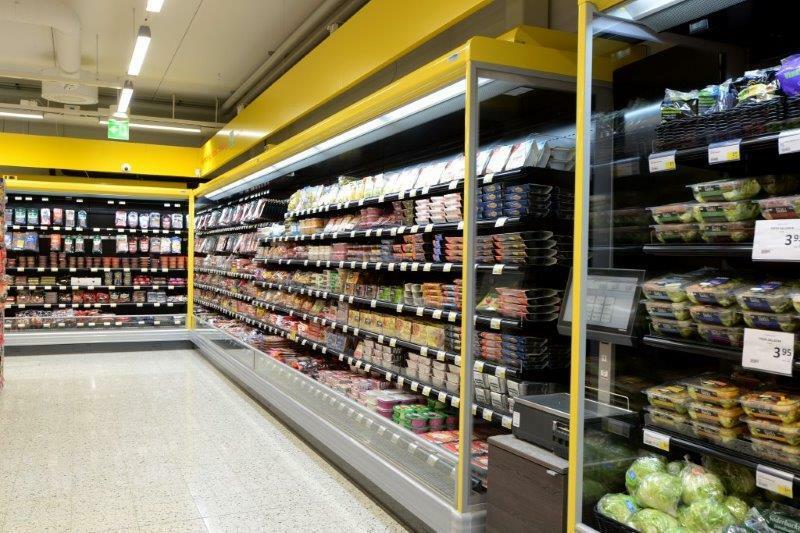 The new store is one of the first in the world, where food products are stored in commercial refrigerators using only natural refrigerant – propane R290 gas. For this ambitious project, refrigeration equipment from Lithuanian company FREOR LT, UAB was chosen. The project was implemented in cooperation with Finnish partners CoolFors Finland, Oy. Propane R290 is explosive, and therefore its application possibilities are limited by safety standards. 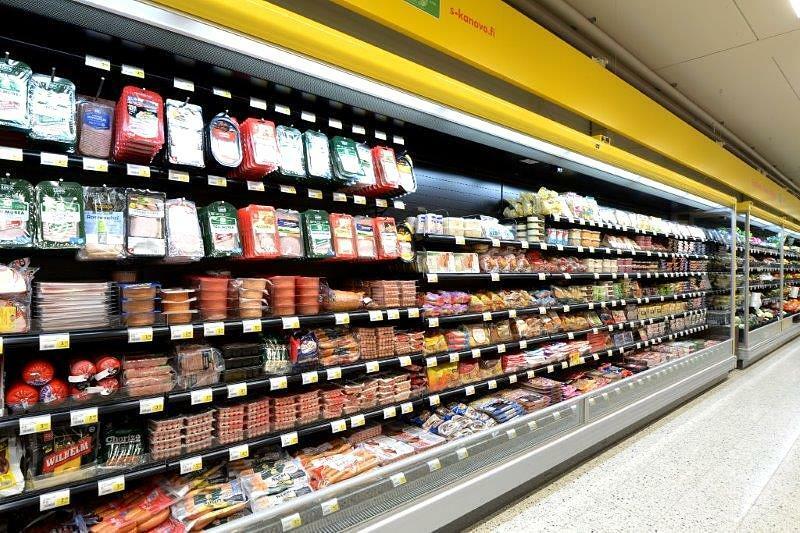 Because of this, propane was not widely used for in-store refrigerating systems in large commercial refrigeration equipment. In accordance with European safety standards EN 378 and IEC 60335-2-89, refrigeration equipment can use max. 150 g of liquid propane R290 in one closed circuit. Freor was one of the first in the world to create a solution, which meets such safety requirements and allows using this natural refrigerant in large industrial refrigerators. This is an important step in the history of the company and, at the same time, an excellent opportunity to improve environmentally friendly technologies. 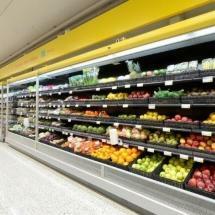 Freor refrigeration solutions, installed in the 400 m2 store in Finland, use only natural propane gas as refrigerant. 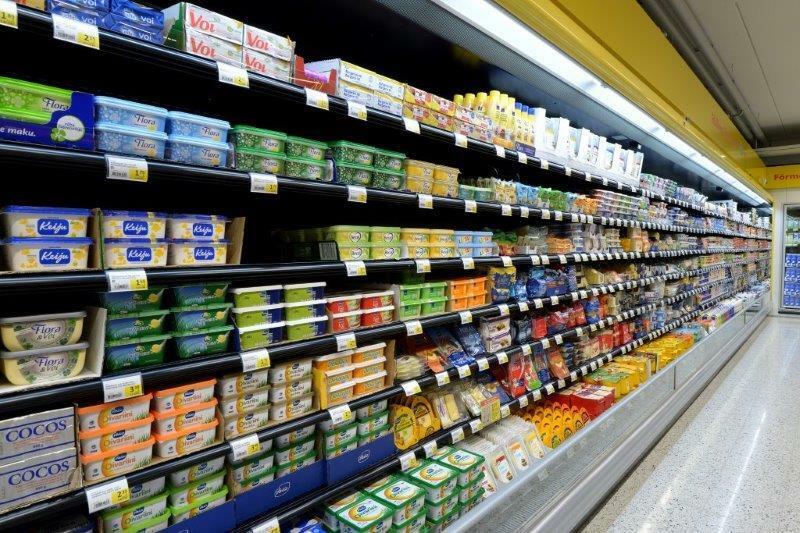 All the refrigeration equipment are autonomous and with internal propane-based refrigeration system, where heat is transferred through environmentally friendly propylene-glycol line. In evaporator of the refrigerator, every evaporation cycle is controlled independently, which allows even distribution of electricity consumption. 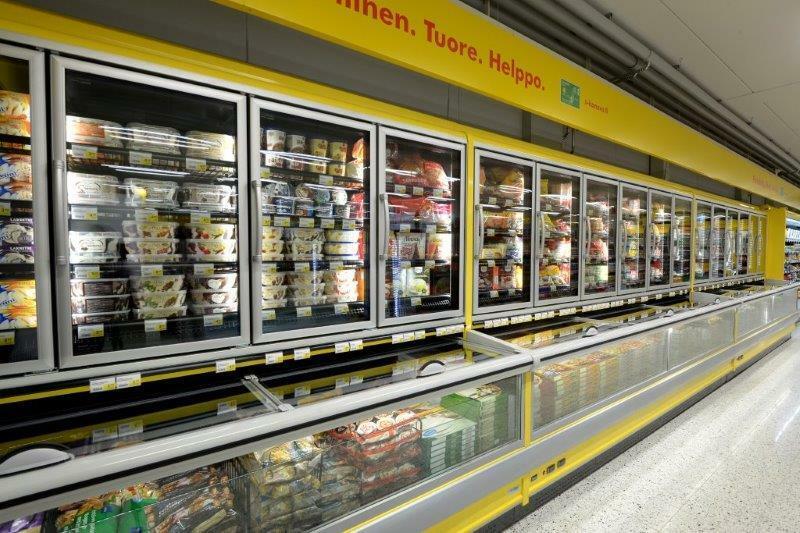 In the new store, Freor has installed its advanced energy saving freezers Delta and vertical cabinets Jupiter. To assure high energy efficiency, the refrigerators have passive ECO ClearX glass door with good thermal insulation properties, LED lighting and economic 8W fans. 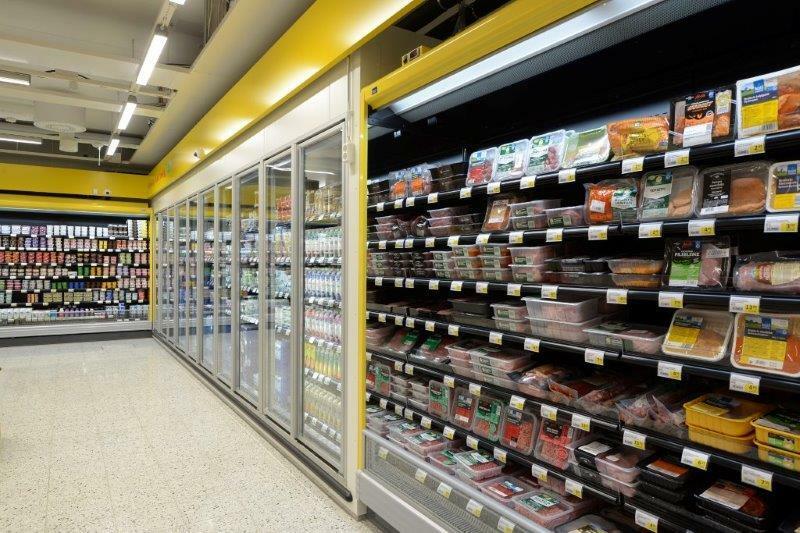 Refrigeration furniture includes moisture and temperature sensors, allowing to monitor dew point and avoid fogging – by turning heating elements on or off. 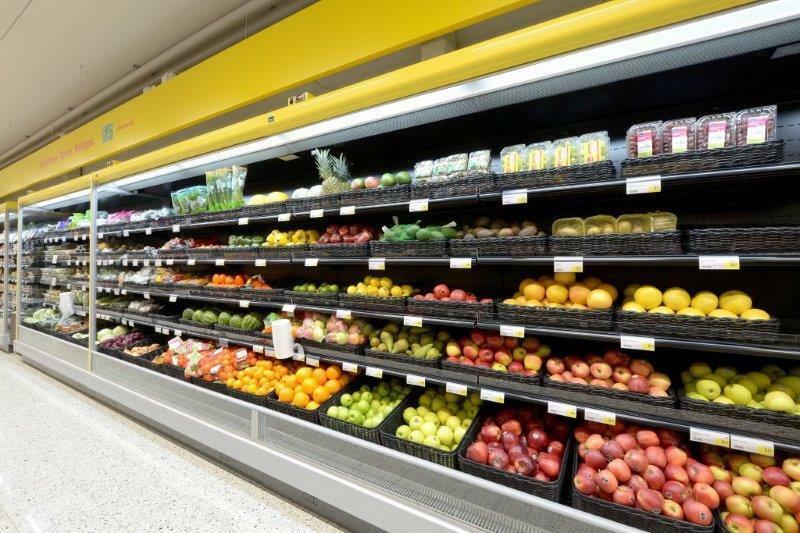 The new store is a very important pilot project, which will help evaluate and further improve the technology in order to satisfy customer needs and to reduce environmental pollution. After measuring energy consumption results and comparing it with those in analogous store where CO2 system is installed, we can already see that electricity costs are identical, but the system itself is up to 30% cheaper. In Freor we continue developing economic and environmentally friendly projects. 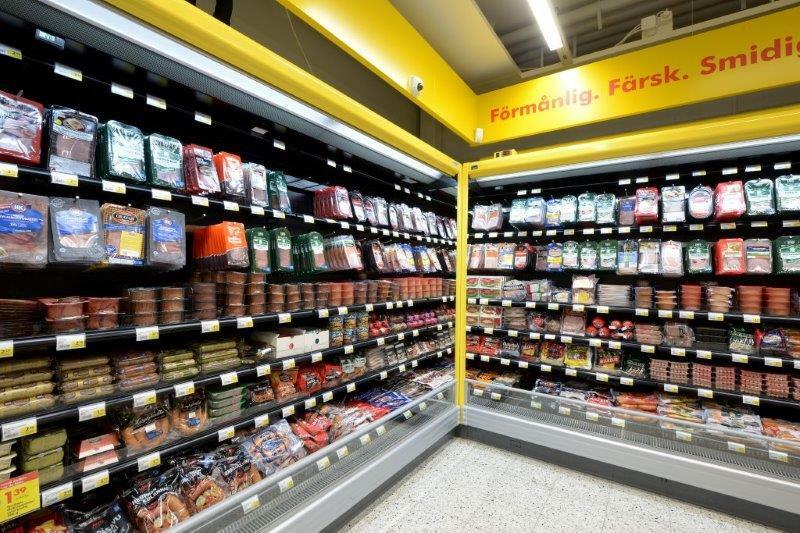 In the nearest future, Freor plans installing propane systems in Switzerland, in stores of the largest retailer Migros in Herdern, Lostorf and Herisau and in Denner store in Fielmergen. 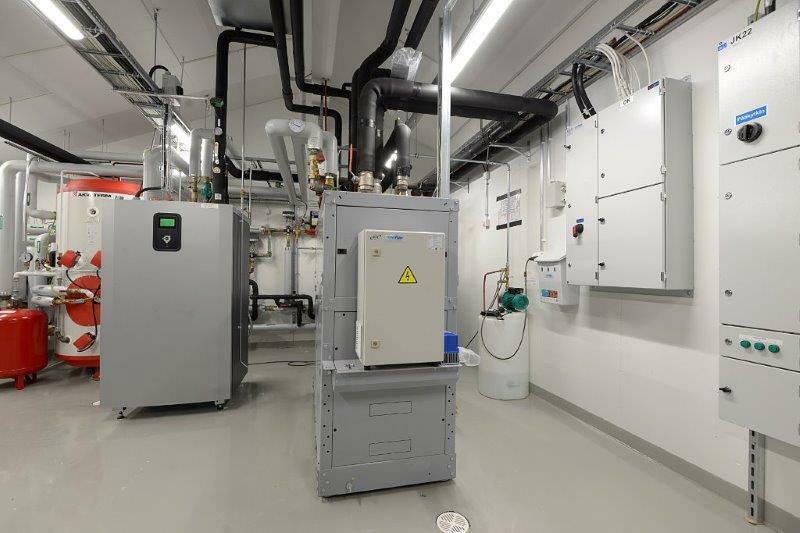 Improved propane system will be controlled with the help of custom made software, and the refrigeration equipment will include invertertype R290 compressors, controlled by frequency converters. Internal test results show that this will allow saving 10-20% of energy additionally.